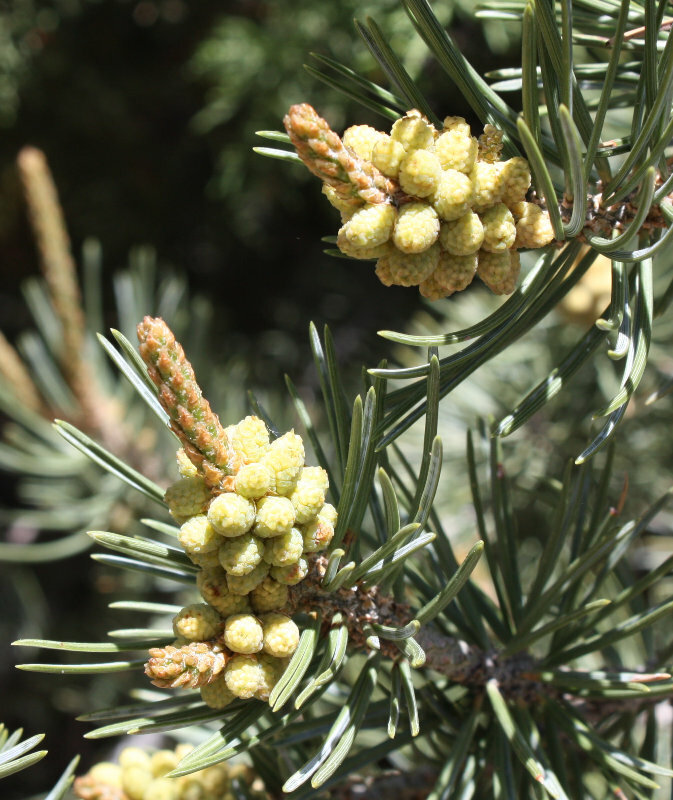 I've been having fun wandering the yard looking at piñon cones. 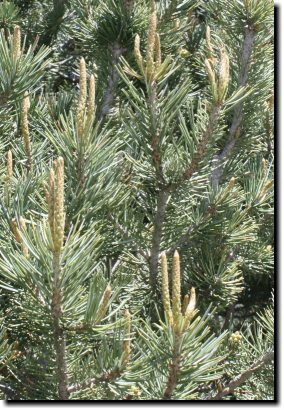 We went all last summer without seeing cones on any of our trees, which seemed very mysterious ... though the book I found on piñon pines said they follow a three-year cycle. 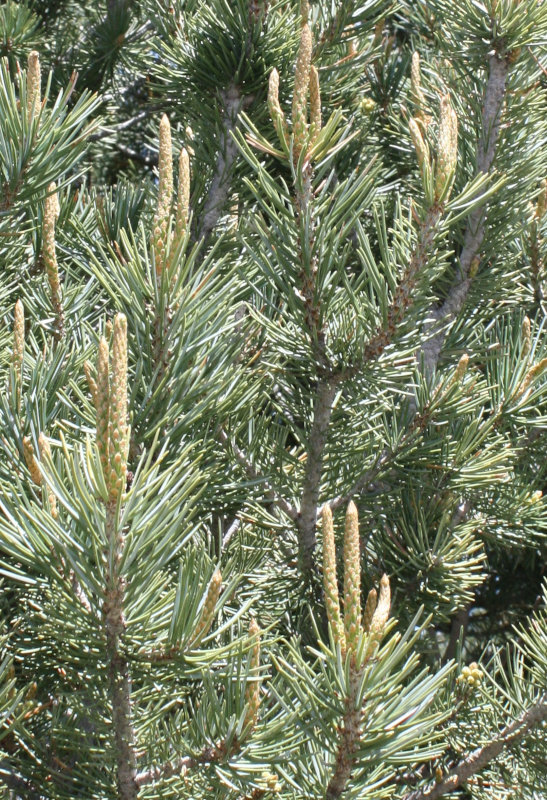 This year, nearly all of our trees have little yellow-green cones developing. 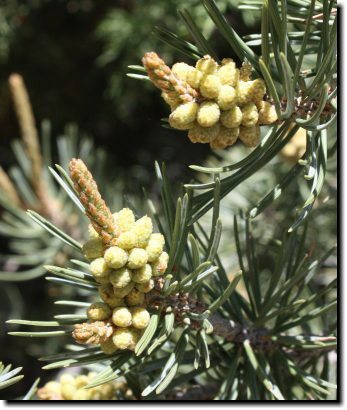 A few of the trees look like most of our piñons last year: long spikes but no cones developing on any of them. I don't know if it's a difference in the weather this year, or that three-year cycle I read about in the book. I also see on the web that there's a 2-7 year interval between good piñon crops, so clearly there are other factors.